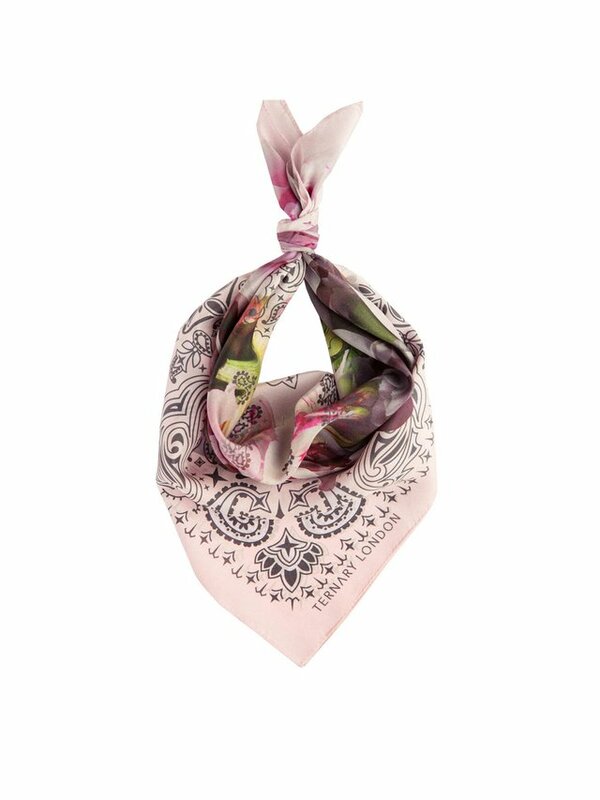 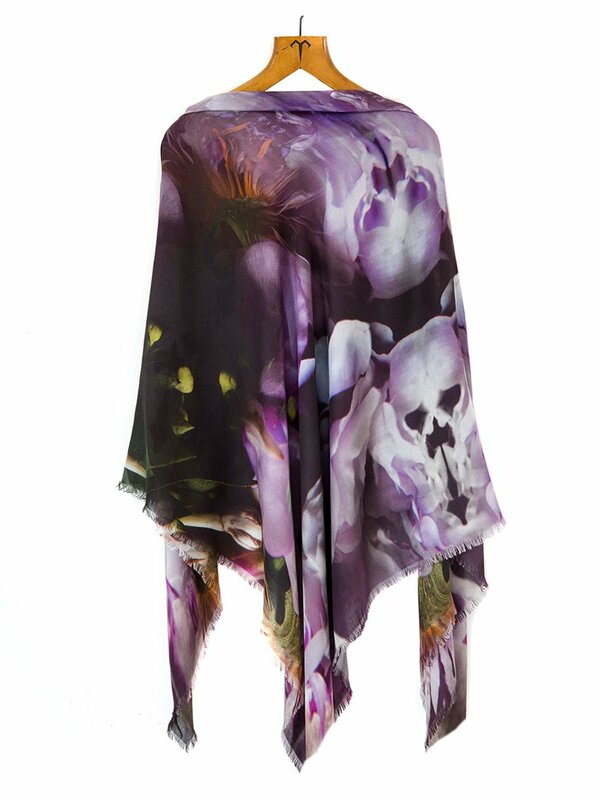 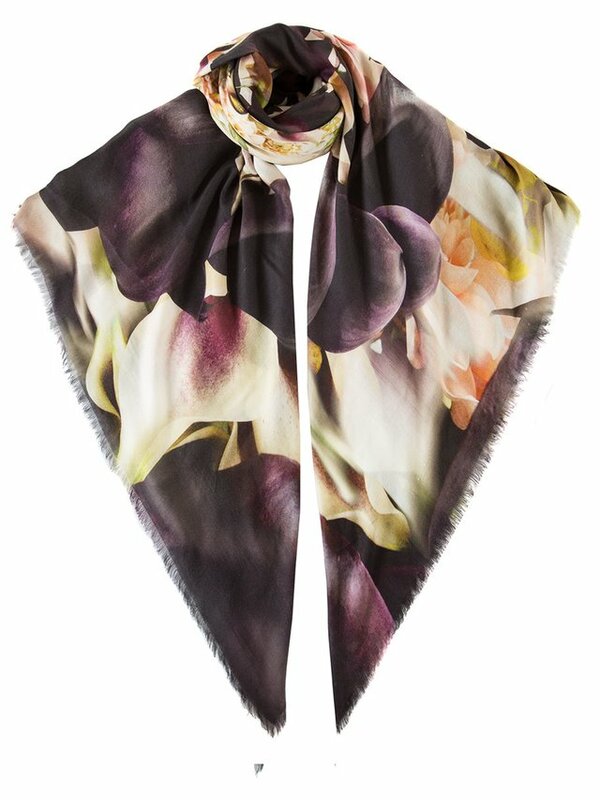 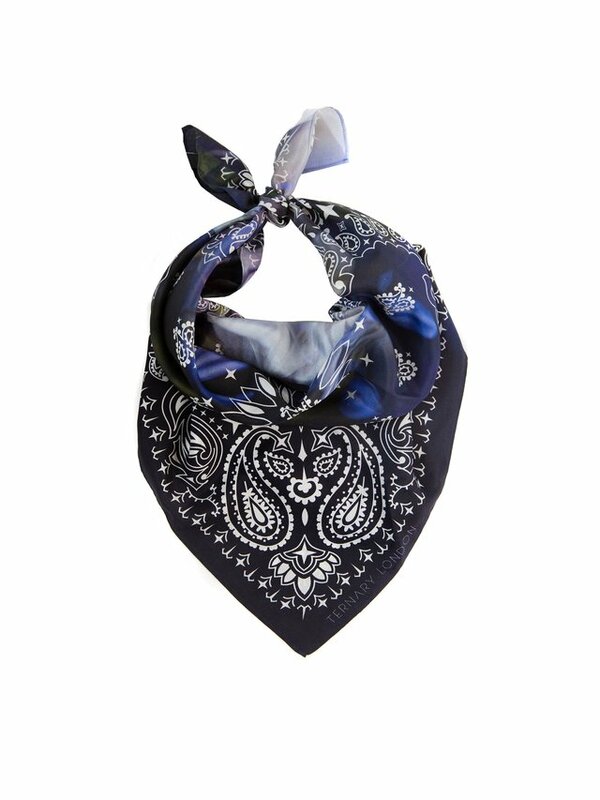 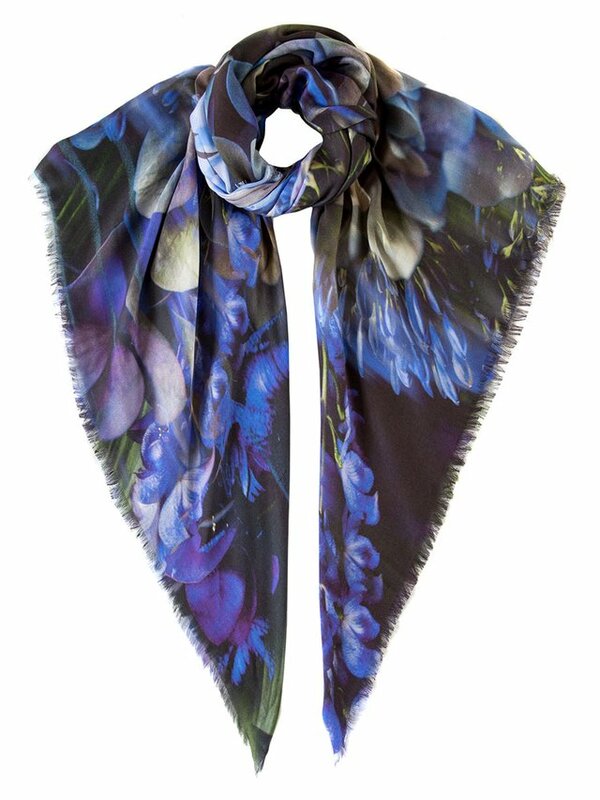 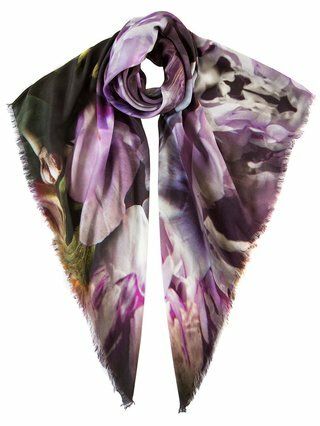 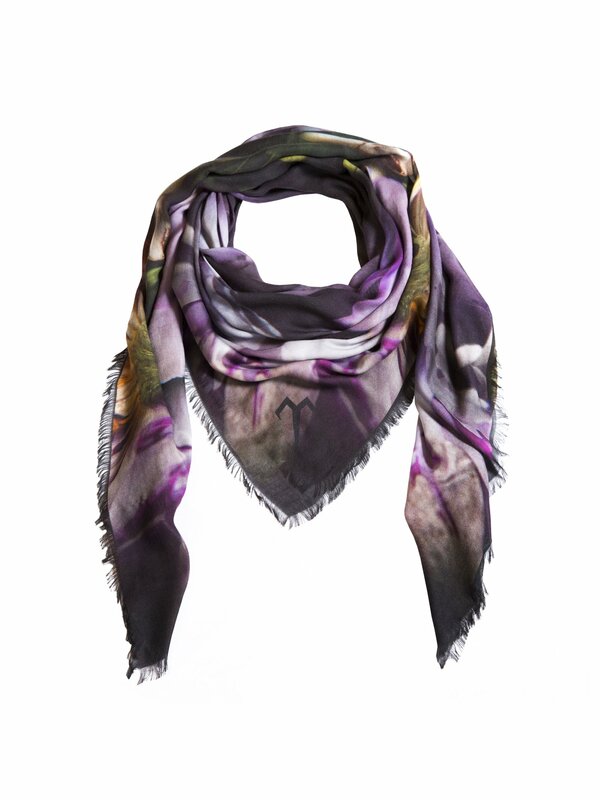 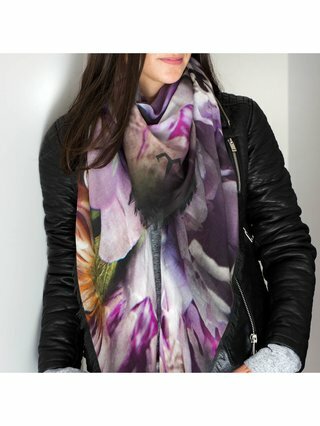 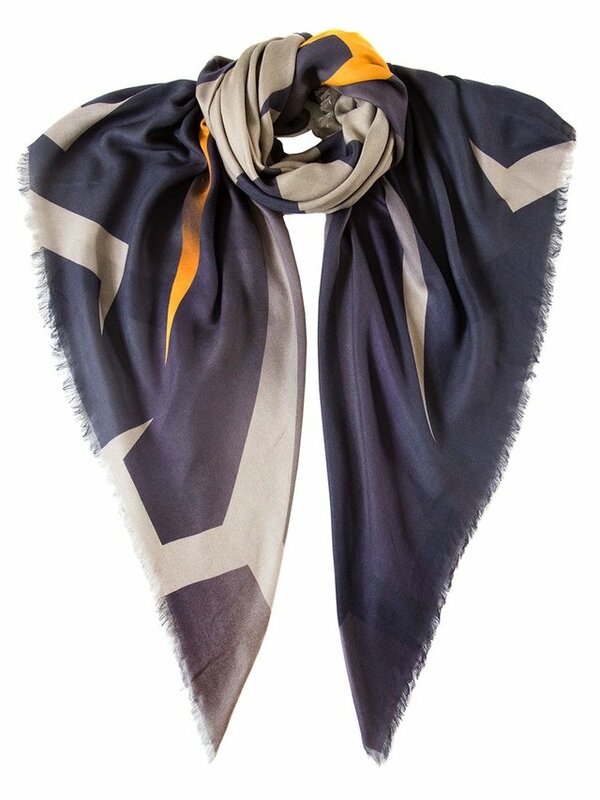 The Dark Paradise luxury cashmere scarf will add some edge to your wardrobe with its dark peony floral abstract skull print. 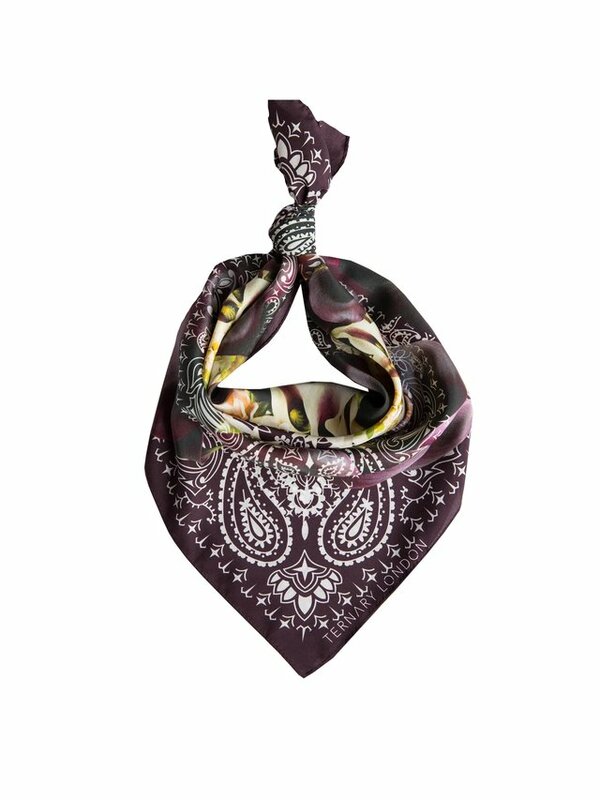 The deep purple and smoked greys are perfect when styled with this seasons leather bikers and denims. 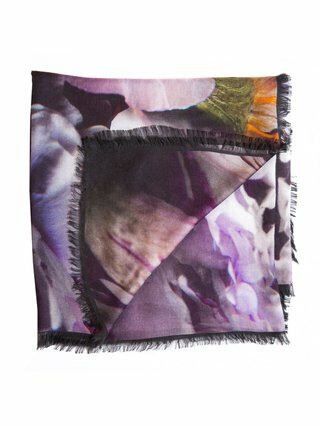 This deep floral photographic print derives from the transiency of life and death and the beauty that occurs between these two moments in time, finished with a soft fringed edge. 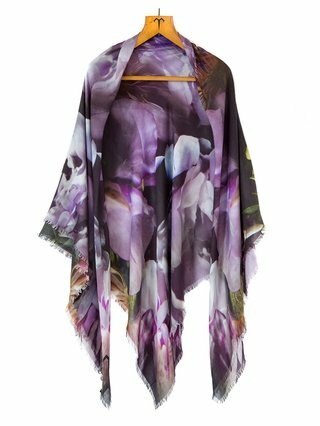 Made in Italy, 140cm x 140cm, 10% Cashmere and 90% Modal mix.